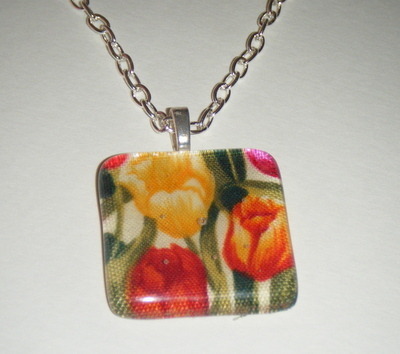 This pendant is approx 36mm square and comes with a silver plated chain that is 18 inches. Great for birthdays, special occasions etc. If you have a special piece if fabric you would like saving into a keepsake then please get in touch!